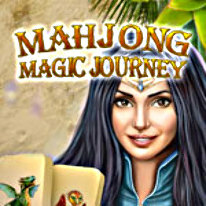 Solve Mahjong puzzles to free the enchanted creatures from the grips of an audacious predator! Someone has captured all the enchanted animals in a magical forest and trapped them in cages! Now it's up to you to solve soothing Mahjong puzzles to free the animals and find the predator responsible for their imprisonment! Play through 120 unique levels, in six wonderful, exotic worlds filled with magical, bewitching scenery, a charming atmosphere and a relaxing soundtrack. Solve original puzzles to open the cages holding the fantastic creatures and free them from the grasps of the villain who captured them. Embark on an exciting Mahjong adventure in an enchanting fairy tale world! -Save the magical pets from captivity!